I happened to be looking on Washington City Paper website, when I saw an interesting video of Chairman Vince Gray talking about his Mayoral prospects. Could this be true??? Oh happy day if he does decide to run. Chairman Gray is by far my favorite politician. I admire his ability to see the larger view of issues. 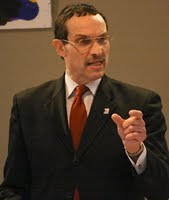 He is the only elected official in DC that I trust is really trying to make the best decision for all residents. Lord knows I trust Fenty as far as I can throw him... nope that's too far. Random story about the character of Chairman Gray. A few months ago, I was watching the DC City Council channel on comcast. These two teenagers were requesting the City Council to re-open a recreation center in their neighborhood. 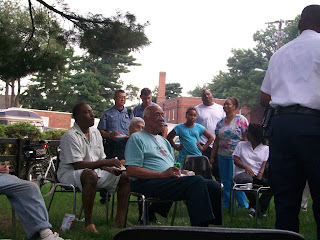 Despite the fact that Chairman Gray is "old school", he was able to relate and communicate with these youths. On their way out of the room, Chairman Gray asked them to pull their pants up. I love it. It will be interesting to see how everything plays out between now and the time the candidates need to formerly throw their name into the hat. 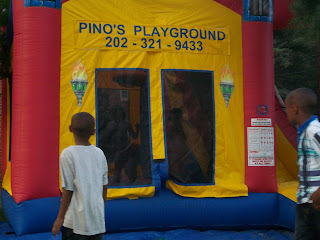 On Monday, August 31st at noon some Ward 8 bloggers are going from online to "on the air" on the Kojo Nnamdi Show. You can call into the show or email your questions or comments. The information is posted below. The Kojo Nnamdi Show airs on WAMU (88.5 FM) weekdays, noon to 2 pm. The live two-hour magazine program highlights news, political issues and social trends of the day. Oh what do we have here? Looks like an in-road pedestrian crossing sign. This photo was taken at the intersection of Fort Davis St and Pennsylvania Ave SE. I was on Fort Davis St northbound and the photo is looking westbound. There is also one at the westbound intersection. They must have been erected overnight by the sign fairies (relatives of the tooth fairy), because they surely were not there when I walked my dogs yesterday at 6:30 pm-ish. I took this photo at 7:30 AM this morning. I will try to get video of pedestrians crossing Pennsylvania Ave to see how effective they are. When you are coming westbound on Pennsylvania Ave, you don't even know there is a crosswalk at Fort Davis St until you are almost at the crosswalk because of the topography. I'll also try to get video driving westbound to see how far back motorist can see them. I don't know the whats, whys, hows, and whos of where they came from, but I'll take this opportunity to thank the sign fairies at DDOT. It's nice to know we have friends in DDOT that are paying attention to the issues in our neighborhood. The engineer in me was interested to know the effectiveness of these type of pedestrian safety devices at unsignalized intersections (i.e. no traffic light). I found a study from 2000 issued by the Federal Highway Administration Turner-Fairbanks Highway Research Center. The study found that motorists were more likely to yield to pedestrians after the signs were placed in the roadway. They were most effective on two-lanes, low-speed roads. I also found a study by the Transportation Research Board issued in 2006 that confirmed the findings of the other study. One of the greatest lines from Donald Rumsfield and subsequently Gin Rummy from "The Boondocks": Well, what I'm saying is that there are known knowns and that there are known unknowns. But there are also unknown unknowns; things we don't know that we don't know. One of the way to know the knowns is to be connected to the MPD police alerts. It's a free service that alerts you to crimes, street closings, incidents, special events and even accidents. I've been connected since December. While I will admit I don't pay much attention to the crimes unless it is in my immediate neighborhood, I can personally attest to the usefulness of knowing about street closures and accidents before getting stuck in the traffic. MPD just sent an email to the 6th District listerv of the number of registered users by PSA. The one thing that astonishes me is the low number of registered users City-wide and the even lower numbers in MPD - 6th District. Only 319 people in MPD 6th District are registered. Only 43 registered users in PSA 606, where Fairfax Village is located. I KNOW there are more than 43 people in Fairfax Village with cellphones. Okay... maybe not the world, but if I had a magic wand I would wish for Fairfax Village Shopping Center (FVSC) to reach its full potential. 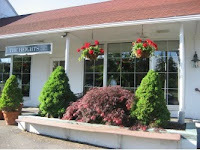 The photo above is the FVSC as it stands today. A charming building with a drab brick color, high hedges, boring signage, and people just loitering. As I mentioned before thanks Ms. Kelsi, I had an opportunity to meet with the property manager to discuss how FVSC could be better. I summarized the "low hanging" fruit items we talked about, such as putting up "No Loitering" signs and adding in a "One Way" sign. For today's blog, I'd like to take a different look at FVSC. I'd like to focus on the building aesthetics. The building has a certain charm that I would like to see accentuated and celebrated. Every time I look at it, I'm reminded of a small shopping center near where I went to graduate school in Ithaca, NY called Community Corners. Photo 1. Look at how they are creative with the landscaping. While the parking lot at FVSC may be too small for a large rectangular planter, it could definitely be revived with some hanging plants and small potted trees. Maybe it is just me, but I also like the white building with the large country bay windows. A country feel in the middle of an urban area. Photo 2. Outdoor dining. What a concept!! While the dialysis center in FVSC is an important function to the community, it is too bad they are expanding into the of former space of First Cash Advance. As one of my commenters stated, that area is begging to be a cafe with outdoor dining. Replace hedges with lower hedges and other flowers to add color. Add an open gate in dark color to compliment architecture of building. I went to the Safeway on Alabama Ave SE today. 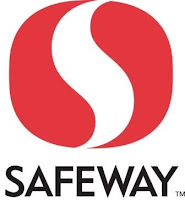 Unfortunately, I lost my Safeway card. Did I mention my Safeway card is linked to a phone number I haven't used in over eight years? I was at the check-out and I told the check out cleark that I had Giant Card. Gary, the check-out guy, told me that my Giant card will work. I thought he was just pulling my chain, BUT.... low and behold it actually worked. Gary definitely held me down today. I got my $13 savings!!! Just a little about me (yes I know this blog isn’t called Life with Ms V… although that could be interesting to some… I digress)… my Myer Briggs personality type is ENFJ (no time to elaborate, so google if you are interested). I’m a very strong “J”, which means that I need closure, but enough about me. 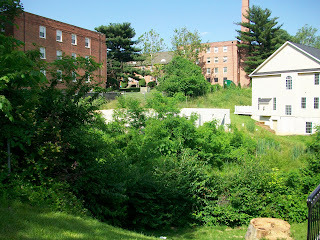 I blogged in June about this hideous vacant property located next to Fairfax Village. According to DC GIS database and the tax database, the physical address is 3802 Suitland Rd SE although it actually abuts 38th St SE (more to come on the address debate). 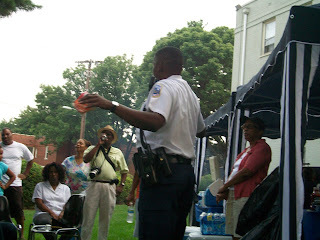 In July, I reported that DCRA issued a letter to the property owner. Well, today I have more updates. Today I was checking DCRA’s August 2009 Vacant Property without Exemption List to see if the property had been listed. Interestingly enough, I found 3800 Suitland Rd SE on the list, but not 3802 Suitland Rd SE. I called DCRA to find out the deal. I just wanted to make sure the wrong property wasn’t listed. 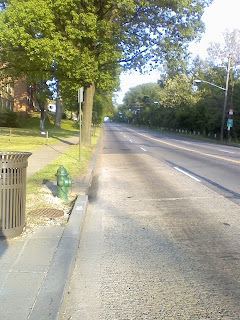 Apparently, 3800 Suitland Rd SE had already been reported prior to me reporting 3802. I told the customer service representative that I was almost positive that someone was currently living in the house at 3800. I recall seeing someone move in around June/July. He said that he would send out a letter to the owner telling them to come in to have the property removed from the list. Concerning 3802 Suitland Rd SE, he stated that the owner’s time to respond had expired. He said he was going to list the property as Class III effective today. I thanked the man for his time. I can’t wait for the September list to come out. Totally off track from my original mission, I needed to prove to myself that I wasn’t tripping about 3800 Suitland Road being occupied. I googled “3800 Suitland Road” to see if it was still for sale. I was able to find a listing that said it recently sold. I called the listing agent and he said that it was pre-leased, so someone was living in the unit and they were scheduled to close in 8 months. Then the conversation went downhill from there. The man tried to tell me that 3802 Suitland Road was in fact not the vacant property. He said the vacant property was on 38th Street SE (he’s partly right). Clearly, 3802 Suitland Rd is the vacant property, per DC’s data. Yes, I went through all of that just to prove I was right. Needless to say, I have a sense of closure. One of my blog commenters asked me about the effectiveness of the MPD neighborhood security cameras. I did some research and unfortunately given the newness of the program there are not a lot of statistics available. 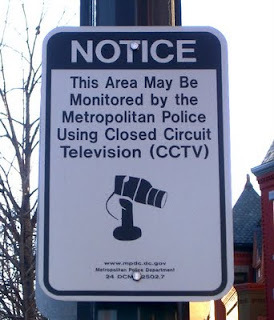 I was able to find the 2007 Annual Report on the Closed Circuit Television System, which was issued in 2008. I assume they are working on the 2008 Annual Report. CCTV areas out performed and had a greater reduction in violent crime, property crime and calls for service. MPD investigators have made 532 request to view camera images, of which 144 images have been retained because of recording. The Penn Ave Great Streets Improvements are coming!!!! According to the project website, construction was supposed to start in August 2009. I emailed the DDOT project team today to find out the status of construction. Apparently, one of the contractors that bid on the contract filed a legal protest over the award amount. DDOT was able to get it resolved and they expect to award the contract within a few weeks. It can take up to 90 days after contract award for actual construction to begin, but DDOT expects the construction to begin this Fall. I'm VERY excited about this project. 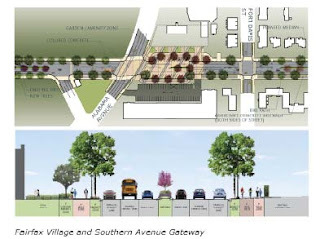 The portion at Fairfax Village will have four driving lanes, a bikepath, new sidewalks, a median, and street trees. I encourage you to check out the website and send questions to the project team. If you would like you can email me (vod2@cornell.edu) your question(s) and I can ask for you. On Friday, Officer Lafrance, Kelsi Bracmont (Hillcrest resident) and I met with the property manager for Fairfax Village Shopping Center, Mr. Prentice. Kelsi set up the meeting to discuss some of the safety concerns at the shopping center, in addition to some other ideas that we had for the shopping center. The most pressing issues are: 1) loitering in general and specifically loitering on the stairs by the Papa John's, 2) the high hedges which prevent cars existing onto Alabama Ave from seeing pedestrians, 3) minor fender benders due to people not understanding that there is a one way flow to the parking lot, 4) lack of lighting in some areas, 5) the low trees by the First Cash Advance. Mr. Prentice has agreed to put up new "No Loitering" signs that are more visible. In addition, he informed us that MPD-6D has written authorization to police the shopping center. He agreed to look into cutting down the hedges along Alabama Ave. He agreed to adding in a "One Way" sign and also repainting the one way arrows in the parking lot. 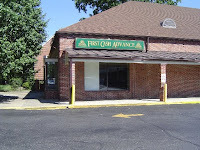 We also learned that the Dialysis Center will be expanding into the former First Cash Advance Space. As part of that, they are going to remove those two trees in front of that part of the center, add grass to give it a more open space feel, and add in pedestrian lighting. We also expressed a desire for better retail options. Mr. Prentice expressed that he wanted the same things. He did point out that all the current tenants pay their rent on time. All-in-all, I thought it was a productive meeting. I look forward to seeing the improvements. At the Fairfax Village Security Meeting, the intersection of 38th St SE and Alabama Ave SE was identified as a hot spot for criminal activity, loitering, and littering. 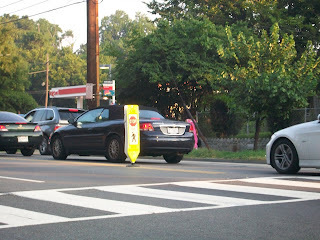 Lt. Netter and Officer LaFrance suggested that the Fairfax Village Community Association write the Mayor for a City security camera to be installed in the public space at that intersection. I'm very happy to see that the Fairfax Village Community Association is pursuing petitioning the Mayor for the security camera. The first step is getting the signatures of residents of Fairfax Village. That means YOU. Stop by the Condo Management Office at 3909-A Pennsylvania Ave during office hours (9:00 AM - 5:00 PM) and put your name on the petition. I know that you have to go to work and I'm sure you have 1,001 things to do in a day, but this is important. I'm heading to the office tomorrow to put down my information. If we don't get the signatures you can only blame yourselves. If we don't do our part, you can't blame the Mayor (as much as that pains me to say). Want to Get in Shape??? Starting on September 19, 2009, I will be running CrossFit classes on Saturday morning in Fort Dupont Park. Class will be every Saturday Morning (rain or shine) from 8:30 AM - 9:30 PM from September 19 - October 31st. The CrossFit program is a strength and conditioning program designed for universal scalability making it the perfect fitness program for any committed individual regardless of experience or age. For more information check out CrossFit Force Majeure. First, I want to offer my prayers of healing for all those involved in yesterday’s accident. I was on my way back from New York City for work when I saw the alert on my blackberry. I didn’t realize the severity of the situation until I saw the FOX news report and videos. Coincidentally, the Mayor was schedule to be in the area, so the camera crews were already onsite. They asked him for his take on the accident and he said: "I say Pennsylvania Avenue and Alabama is definitely a trouble intersection. It's steep, it's rush hour. A lot of cars, a lot of pedestrians and it’s a busy intersection. And busy intersections need traffic calming especially more than other intersections." I don’t know who prepped the Mayor prior to the interview, but clearly they didn’t do a good job. I don’t think a day goes by that I don’t drive on Penn Ave. The Mayor is correct there are very steep hills along Penn Ave, which causes some blind spots. Many cars travel along Penn Ave. In my experience driving at all times of the day, rush hour is not the issue as the Mayor stated. The real issue is the off-peak times when Pennsylvania becomes a high-speed raceway. When the Mayor said “a lot of pedestrians”, I had to keep myself from laughing. I can count on one hand the amount of people I’ve seen walking on Penn Ave on any given day. Granted people are outside, they are usually standing around (read: loitering) the Fairfax Village Shopping Center or the Corner of 38th and Alabama being unproductive. I’d hardly call them pedestrians. But enough on Fenty… He’s in enough hot water with the car accident he had this weekend and using taxpayer money for his Frat’s event. No need for me to stir the pot. I am a firm believer that if you bring up a problem you should also present solutions. Otherwise, you are just making noise. Problem #1: In my experience, one of the dangerous parts of Pennsylvania Ave is at 33rd St SE going Eastbound where three lanes all of a sudden become two lanes. For whatever reason people just don’t know to merge there. Solutions: Drivers need to be warned further up that the lanes are merging, probably closer to the Exxon station. There should be consideration to painting a merge arrow on the pavement right before 33rd St. Implementing both are relatively low cost solutions. Problem #2: Speeding on Penn Ave. The trouble stretches are from Branch to Alabama and Fort Davis to Southern Avenue. The problem with Branch to Alabama is there are only two lights in between those two intersections and really the one at 38th doesn’t count because it is so close to the one at Alabama. Between Fort Davis and Southern coming westbound you have people coming from Maryland were the speed limit is significantly higher. Solutions: A high cost solution would be speed cameras along those stretches. A lower cost solution would be posting a cop during off-peak hours with a radar gun at the intersection of Penn Ave and either Texas Ave or 38th St and the intersection of Penn Ave and Fort Davis. The other lower cost option would be adding rumble strips to slow people down. The point is these two stretches of road really need traffic calming. Problem #3: As a pedestrian, you are playing roulette with your life if you try to cross Penn Ave at Fort Davis St. It’s bad enough trying to drive across or make a left turn from Fort Davis. I would argue that that is a more dangerous intersection than Penn and Alabama. Fort Davis is right at the top of the hill, so drivers westbound really can’t see pedestrians or cars on Fort Davis until they are right on them coupled with the fact that people fly through that area. Solutions: Basic strictly on traffic engineering, I don’t know that Fort Davis Street has the traffic volume to warrant a stop light. However, there could be consideration of putting a light at that intersection that flashes yellow for Penn Ave and red for Fort Davis, but pedestrians could press a button to stop traffic on Penn Ave so they can cross. They have them in Arlington. My plan is to write up the problems and solutions in a more formal manner and send to Councilmember Alexander by early next week. I know it may take some time to address these issues, but we should strike while the iron is hot. Fairfax Village is hosting our annual community BBQ for National Night Out. 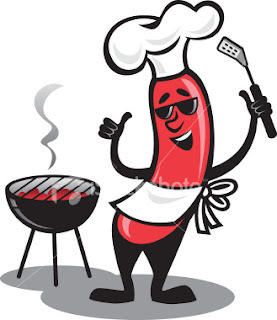 Come out and join us on Tuesday August 4th from 6:30 PM to 9:00 PM on the lawn by the Condo Management Office. 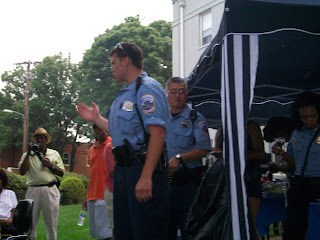 Officer LaFrance who is the footbeat officer for the neighborhood and other MPD-6D will be there. I'm sure Lt. Netter will make a cameo appearance. It's really important to come out and get to know your neighbors. I know there was talk of reviving the Neighborhood Watch Program. We need to do our part in protecting each other. Photo of Chairman Gray and Ward 7 Councilmember Alexander by my Blackberry. 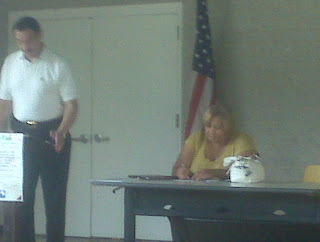 I attended my first ever Hillcrest Community Civic Association Meeting today. I know that I should be embarrassed that this is my first meeting given that I moved to the area in 2006. I've missed some meeting due to work or being out of town. I missed the others, because I'm just not a fan of meetings. Shame on me. Despite the fact that I have the attention span of a five year old, I made it through the entire meeting. However, there were parts I was ready to stab myself in the eye from boredom. The first hour was a series of recaps and reports. I swear I heard the same three announcements about fifty times: National Night Out on August 4th, 20th Anniversary in September, and some thing about the Palisades. It appeared the repetition was due to speakers not being prepared and speakers not being in the room when speakers were talking. The main thing that was frustrating was all the background noise. I stepped outside of the meeting to talk to Officer LaFrance. One of my neighbors and I are looking forward to working with him and the owners of Fairfax Village Shopping Center to prevent loitering and littering. Lt. Netter was there as well. He cracks me up. Things started to heat up a little when the Skyland Developers gave a presentation on the status of the project. 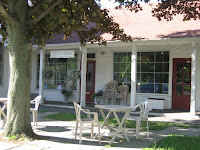 They anticipate a zoning hearing in October 2009, construction starting in 2011, and a grand opening in 2013. Some old time residents seemed frustrated with the developers given this process has been dragging on for years. One resident came up to me and one of my neighbors and said it was our fight now. He was tired of fighting. I stayed for the Council Member Roundtable. It was great to meet Ward 7 Councilmember Yvette Alexander. I will be honest and say I was indifferent towards her prior to today (the opposite of love isn't hate... it's indifference). However, after meeting her in person I am shifting to a more favorable view. I LOVE her passion behind the DC Statehood Movement. I'm almost inspired to help out. Councilmember Alexander also talked about the vacant property proposal that will be heard on September 22nd. I put that in my calendar. I have the little issue of the vacant property at 3802 Suitland Terr SE. Chairman Gray gave an overview of the budget approved by Council. He also talked about the Council's independent review of the Mayor's takeover of the school system. They are at the very preliminary stages where they are trying to develop their review criteria. It's very encouraging to know that Chairman Gray and the Council are keeping tabs on Mayor Fenty.